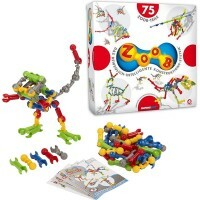 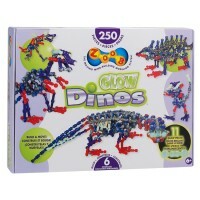 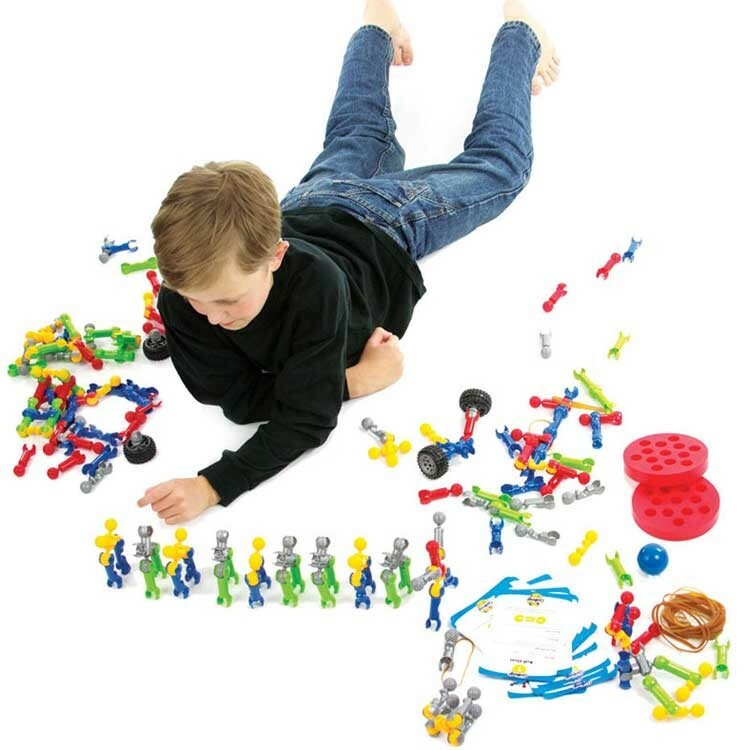 Build 40 flexible models with this award winning 220 pcs ZOOB Challenge construction set and learn principles of STEM. 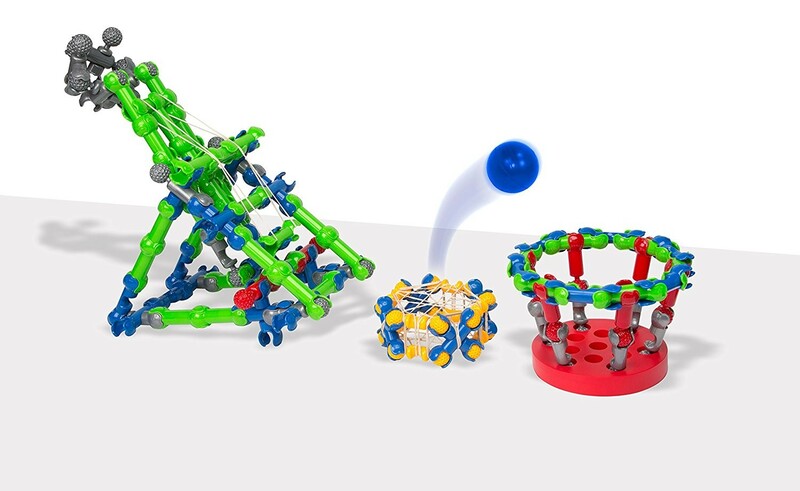 Building moving models and learning STEM? 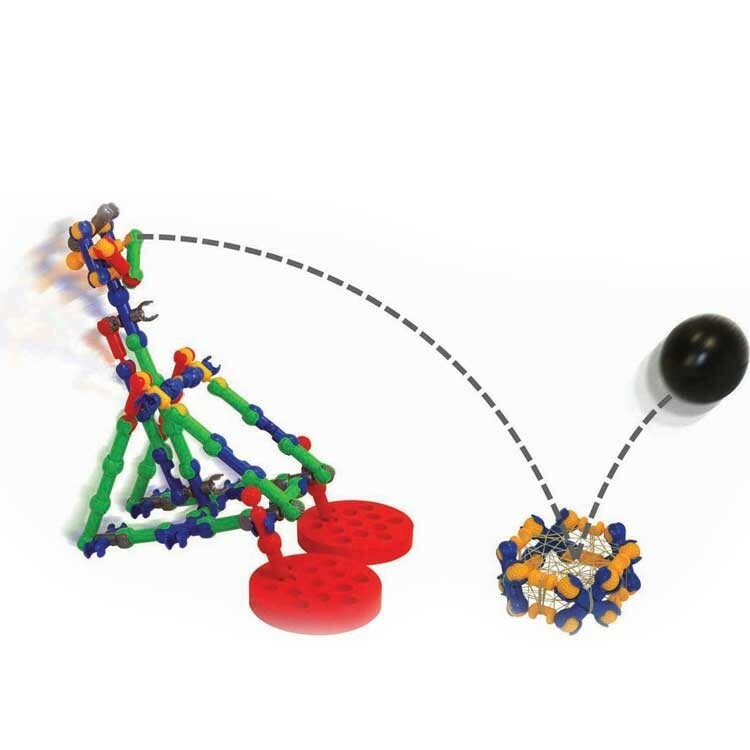 Yes, it's possible. 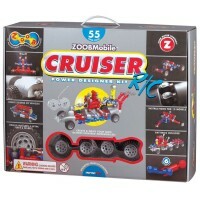 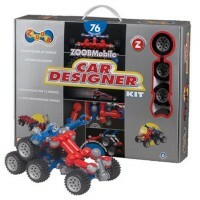 With Zoob kids will have fun building and won't even notice they are learning Science, Technology, Engineering, Math! 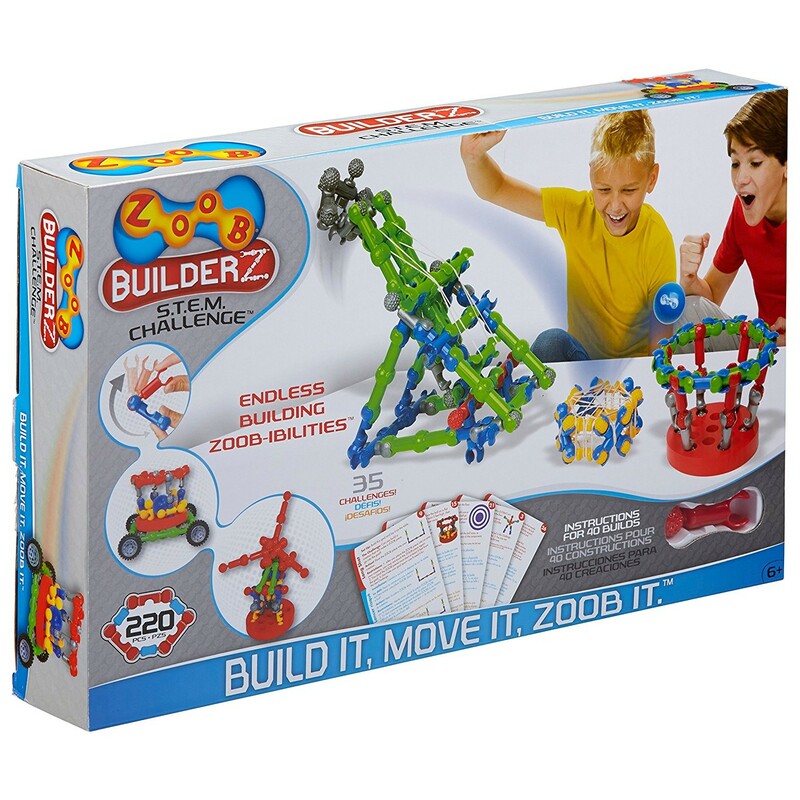 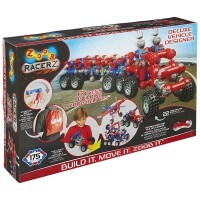 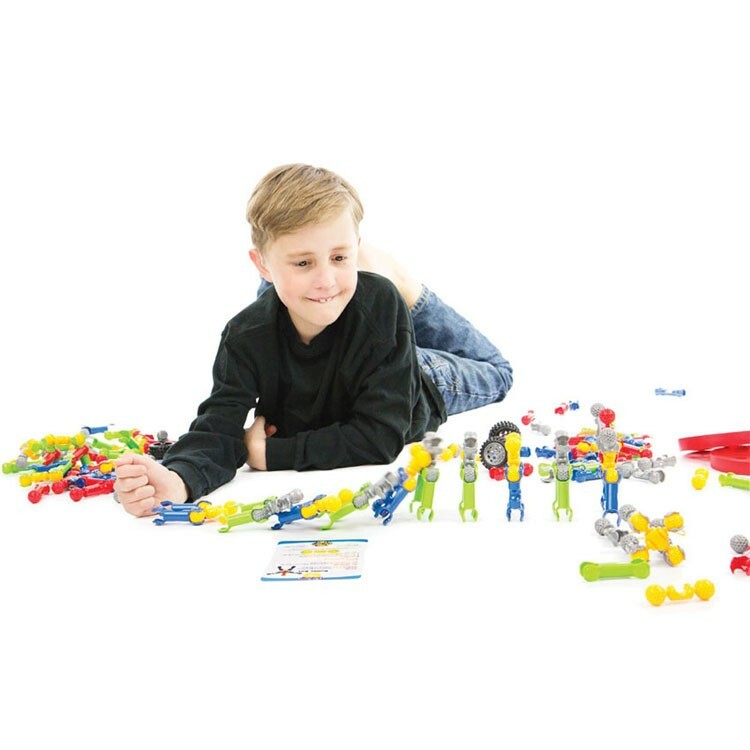 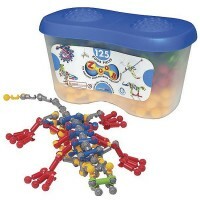 Zoob STEM Challenge 220 pc Building Set is an innovative construction set and brainy toy in one box. 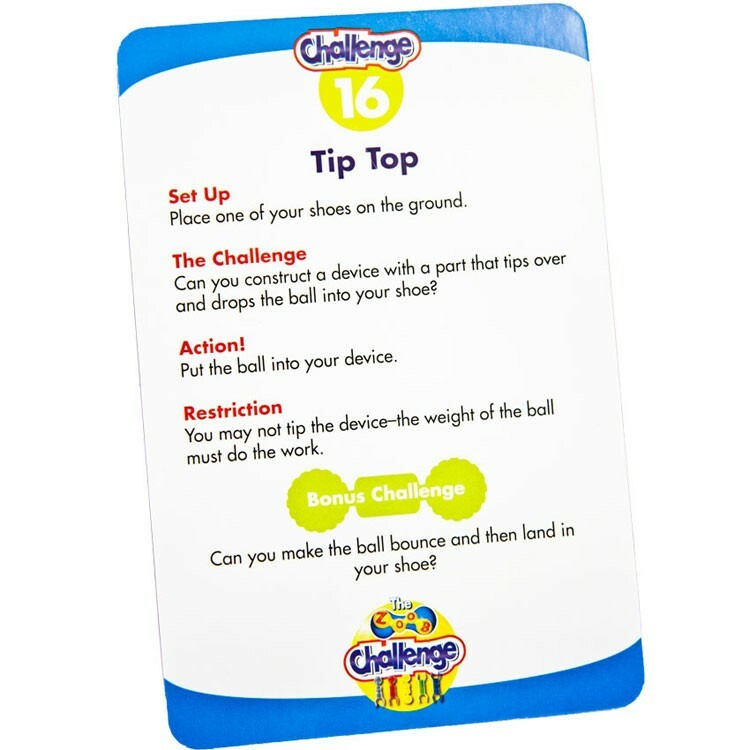 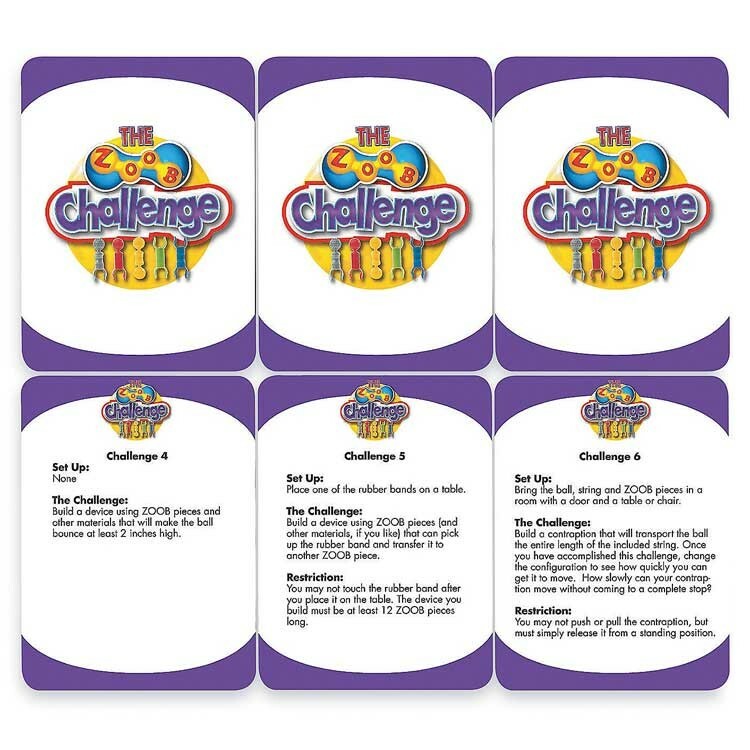 Solve STEM theme model building challenges such as hitting targets and making balls bounce. 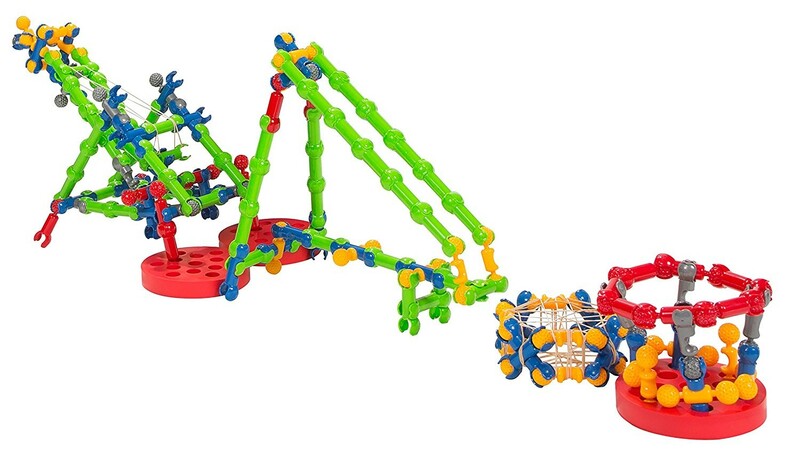 ZOOB building system features signature connecting parts that easily snap together and give the finished models ability to move, bend and flex any possible way. 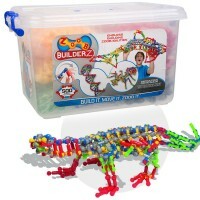 This STEM kit is a deluxe open-ended construction set that comes with Zoob's lifetime warranty parts. 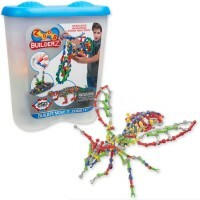 This challenging building set contains classic Zoob pieces, wheels, elastic bands, and special parts - 220 colorful pieces altogether. 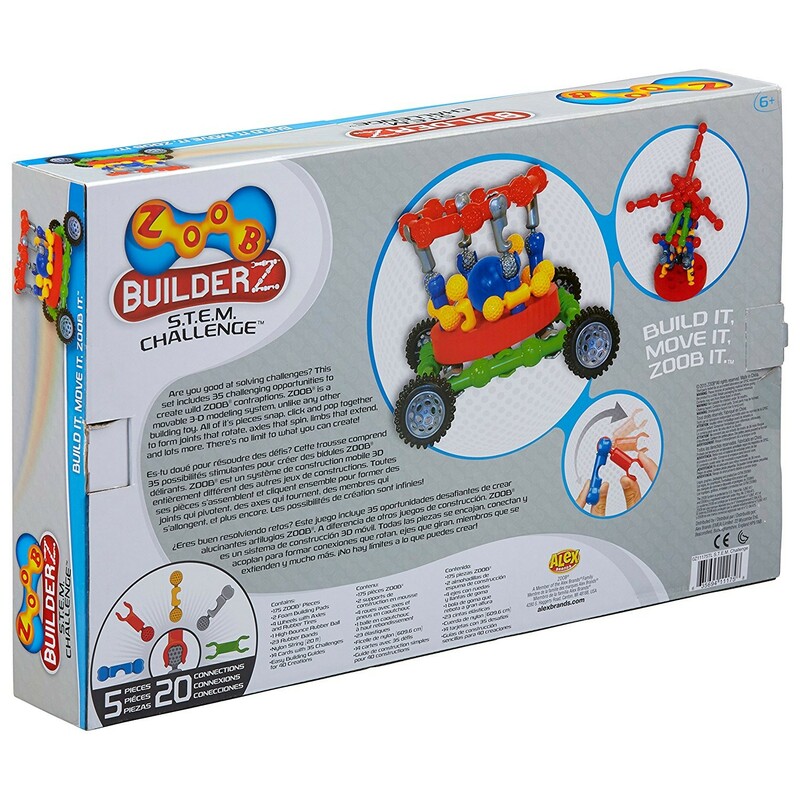 With the enclosed 5 instruction guides kids can make 40 creations including vehicles, humanoid robot, catapult, windmill, and much more. 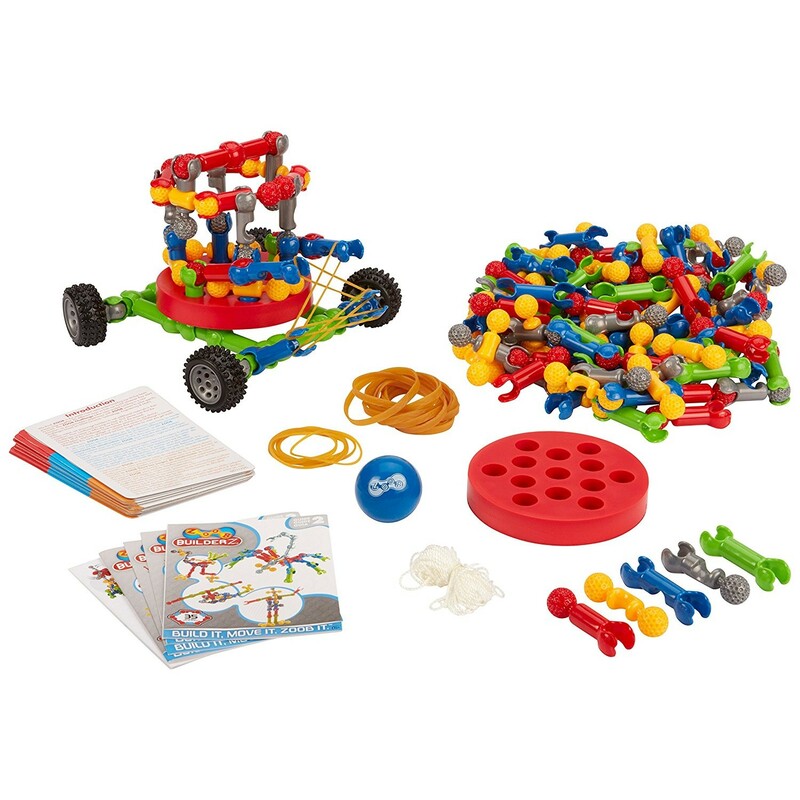 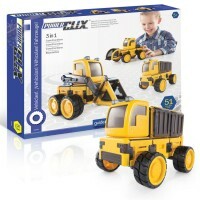 Perfect for creative boys and girls, this engineering construction set can be combined with other Zoob sets from Educational Toys Planet. Dimensions of package 2.88" x 14.25" x 14.25"
Write your own review of Zoob STEM Challenge 220 pc Building Set.